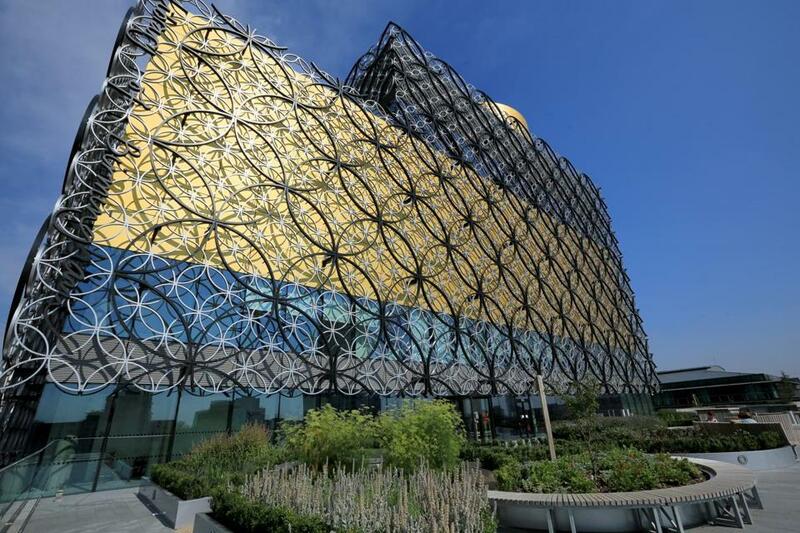 With a world-class food scene, a dazzling new public library, and a cool attitude, “Brum” is suddenly hot. Saint Martin in the Bull Ring Church and, at left, an iconic modern Selfridges department store. In the 185 years since Victoria penned those damning words, Birmingham has been repeatedly called a “concrete jungle” and “industrial wasteland.” Its signature art form, heavy metal music, was born in the factories after Ozzy Osbourne and the rest of Black Sabbath built their sound on the grinding beat of the tilt hammers they heard in their youth while working on assembly lines. 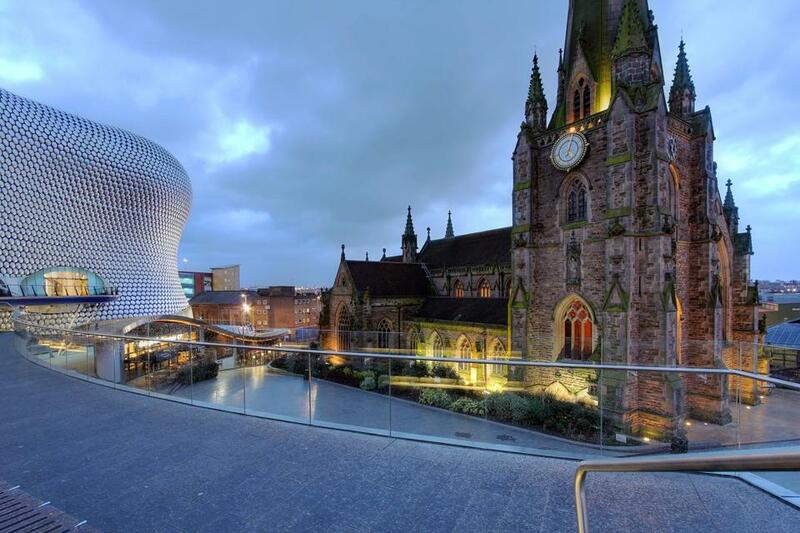 For snobbish Londoners, Birmingham, 120 miles northwest of the capital city, has always been a place to sidestep. But the tide is turning, and travel magazines are heretically prescribing Birmingham over London. Europe’s largest public library, an architectural marvel, opened there in 2013. The city is blessed with five Michelin-starred restaurants, and there are plans to build a $28 billion high-speed rail line between Birmingham and London that will cut travel time between the cities to 49 minutes. Meanwhile, Birmingham is knee-deep in a push to reinvent its architectural heritage. Just recently, for example, Birmingham City University opened a $70 million conservatoire, for training in music and acting. It features five public performance spaces, including a 500-seat concert hall and a cozy jazz club. Are we to surmise that “Brum,” as locals call the city, is determined to erase its industrial past? Negatory. The new Birmingham draws its vitality and its soul from the hectic old city, the one that made Victoria squirm. It is at once gritty and visionary. Think Pittsburgh. Or imagine if a beleaguered Detroit suddenly blossomed, becoming a beacon of culture. 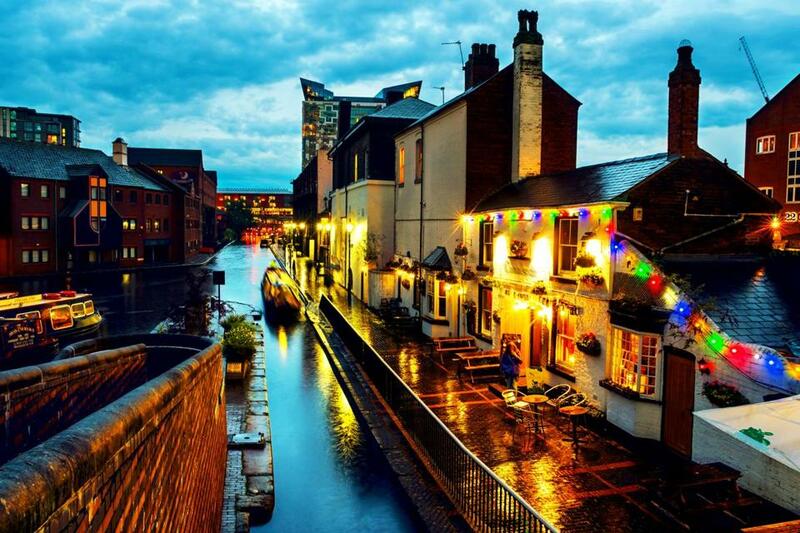 Then throw in the strange fact that Birmingham has 35 miles of canals, more even than Venice. The canals — once used to transport raw materials into the city and finished goods out — are still there. There’s a tug of war at work in this town, an interplay between the new and the old, and I’ve come here for a few spring days to explore that tension. 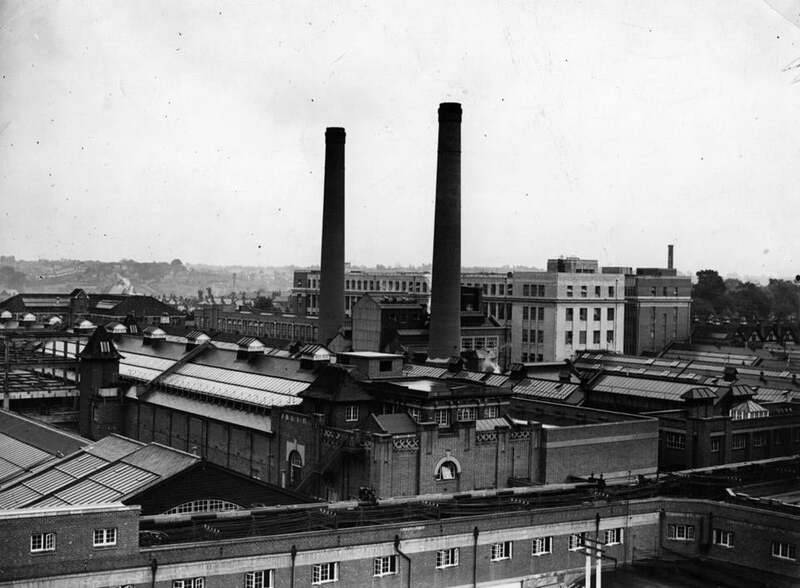 A 1939 view of Birmingham’s industrial past. 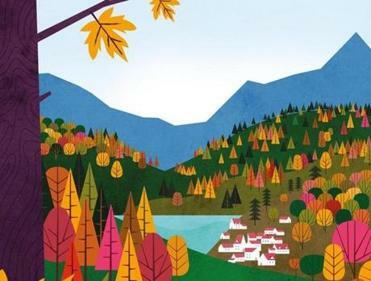 Complete with scenic drives, charming attractions, and cozy inns, these towns can help you revel in the region’s loveliest season. The intrigue begins soon after I step off the train from the airport. Strolling through downtown, I pass a large bronze statue of Victoria wielding a scepter, then the Birmingham Town Hall, a looming gray neoclassical structure with, it seems, a million Corinthian columns. Soon, I see something glinting on the horizon. The new Library of Birmingham, Europe’s largest library, and its outdoor Secret Garden. When I venture inside, though, the place feels more like a paean to the book, especially after I begin climbing skyward, up through a central rotunda, on an endless series of escalators fringed with blue lights. Encircling the open cavity are thousands of volumes, their red, green, yellow, and more spines on display, backlit and sparkling. The vast reading rooms, which face the windows, are designed to change moods along with the weather and shadows. On the seventh floor, there’s the outdoor Secret Garden, a not-so-hidden terrace where dirt walkways wend through beds of herbs and vegetables and fruit. Then at the very top of the building, you’re suddenly back in the past. The Shakespeare Memorial Room features three banks of ornately carved floor-to-ceiling cabinets, some 43,000 Shakespeare-related books, and a tasteful white bust of Willie Shakes. Ten stories below, the canals flow through the city. One, the Birmingham Canal, twists like a snake, following the contours of the land. Laborers carved out its channel with shovels and picks in the 1770s. Forty years later, a Scottish engineer named Thomas Telford used gunpowder to blast a path that cuts through the canal like the slash through the curves in a dollar sign. His canal is straight. The other canals in the city are as well. They’re narrow, with worn footpaths, and they’re lined with stylish restaurants that have sprung up in ancient brick buildings that once housed shipping agents. 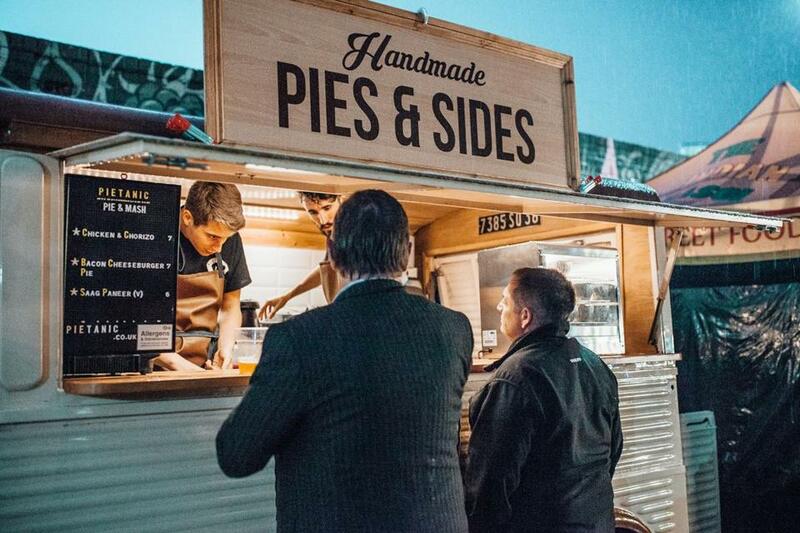 On the Worcester and Birmingham Canal, for instance, Bistrot Pierre is a French eatery known for its toasted brioche with fricassee of mushrooms, while the Canalside Cafe brings a welcome light touch to traditional pub foods, serving vegetarian chili and salads. The beer is exquisite, the table beside the brick fireplace cozy and warm. The towpath is paved with charismatic old bricks, and on a sunny Saturday afternoon it’s teeming with slow-strolling holidaymakers. Out on the water, weathered narrowboats, thin vessels designed to squeeze through the canals, float by, bringing a pirate-like spirit to the afternoon’s drama. These particular boats are residential and inhabited by a scruffy lot that tie their bicycles to their roofs and hang their laundry out to dry on the deck. At one point a boat glides by, blasting the Red Hot Chili Peppers, to the delight of nearby Chinese tourists. A section of the canals that crisscross the city. Just a couple hundred yards southwest, though, the towpaths are deserted. Broken bottles lie in the weeds, and prime waterfront real estate is wholly ungentrified. I come upon a magnificent curving brick building. The Birmingham Roundhouse, which once stabled horses, is vacant, save for a day care, but a recent $3.2 million grant will enable refurbishing. Soon, the Roundhouse will likely be home to a cafe and shops offering kayak and bicycle rentals. I’m enchanted with the waterfront in raw form, though. Often, striding the towpath, I feel as if I’ve time-traveled backward, into the world of an old black-and-white film. One evening, walking over cobbles, I come upon a man on a three-speed bike adorned with a vintage handlebar light that is powered by his pedaling. His light sparks and fades in the darkness, and as we intersect beneath a low bridge, I see that he’s bringing home fish and fresh vegetables — perhaps dinner — in his basket. Later, I find myself at the base of a canal lock a mile from the roundhouse, beside a giant pool loudly filling with water. The sound is somewhere between heavy rain and a waterfall. The effect is haunting. This could be an art installation in a museum, I think. Like many fallen industrial cities, Birmingham is a blank canvas. It’s a magnet for daring artists and entrepreneurs, and nowhere is this more evident than at a place called the Custard Factory, an outre brick shopping mall and office complex that occupies part of what was, until 1964, the manufacturing home of Bird’s Custard, a famous egg-free instant powder created in Birmingham in 1837. The 100-foot-high smokestack that towers over the Custard Factory bears a graffiti-style image of an orange-faced gentleman wearing a prodigious walrus mustache and, it seems, thanks to the black chimney guard, a bowler hat. Inside, on the ground level, there’s a craft beer shop, a fair trade coffeehouse, and a 100-seat theater, the Mockingbird Cinema, which shows vintage films (Mad Max, for example) and obscure new documentaries. On the streets nearby, in an old industrial neighborhood called Digbeth, nearly every vertical surface sings with bright graffiti murals: I see a bizarre version of Dr. Seuss’s lanky Cat, his head a skull with no skin, and a Native American wearing a giant headdress and stretching his gold-braceleted arms skyward. Then, on Saturday evening, I savor the Digbeth Dining Club, which every weekend, year-round, brings scores of artisan food carts out into the street, enabling gourmets to partake of, say, prize-winning “toastie” sandwiches made with local cheddar and organic rare-breed ham at the Jabberwocky, or lamb flatbread at Smoqued, a vendor of South American fare. Patrons at one of the food carts that make up the Digbeth Dining Club, in an old industrial neighborhood of Birmingham. He continues, at length. When the waitress arrives, he declaims, “Another red wine, a large one!” Then he sweeps his arm for emphasis and his current glass, empty now, shatters. The waitress brings him his check. Bill Donahue is a freelance writer in New Hampshire. He has written for Outside, The Washington Post Magazine, and ESPN. Send comments to magazine@globe.com. Follow us on Twitter @BostonGlobeMag.